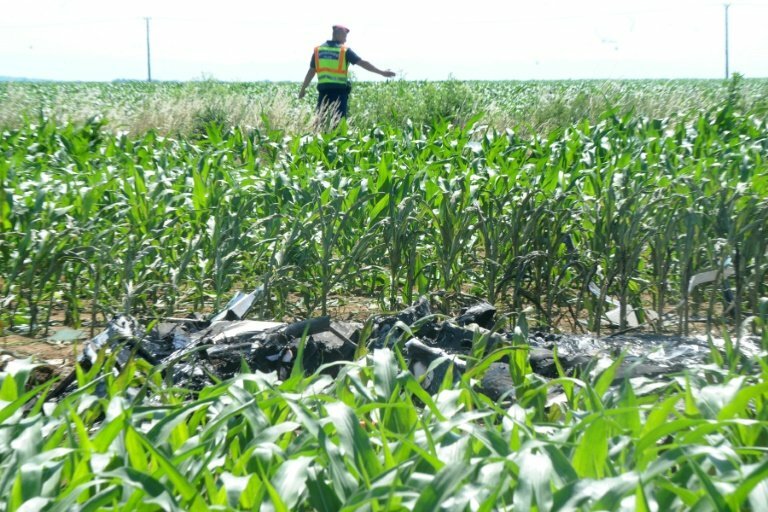 An electric plane powered by Siemens crashed during a test flight in Hungary, killing both pilots on board, the German industrial conglomerate said Wednesday. Siemens said it had grounded its fleet of Magnus eFusion aircraft “as a precautionary measure” following the May 31 incident at an airfield near Budapest. “We can confirm that an accident happened to an experimental airplane Magnus eFusion featuring our electric propulsion unit,” the company said in a statement. “We are working closely together with the authorities to clarify the cause,” it added. The Magnus eFusion is a fully electric, two-seater that started flying two years ago and has been tested in over 200 flight hours. Three of the prototype planes, including the one that crashed, are based in Hungary, Siemens said. One is in the United States, where it has not yet taken to the skies. Siemens is one of a number of companies around the world exploring the viability of electric-powered aircraft, which supporters say offers cheaper, quieter and more environmentally friendly air travel. Siemens has also teamed up with European aircraft manufacturer Airbus and British engine maker Rolls Royce to develop a hybrid electric plane for commercial, short-haul flights by 2020. A rival company backed by US aeronautics group Boeing plans to bring a 12-seat hybrid to market by 2022.